VPNs boost security, but slow speeds. That’s unfortunate. And there’s no way to solve one without the other. 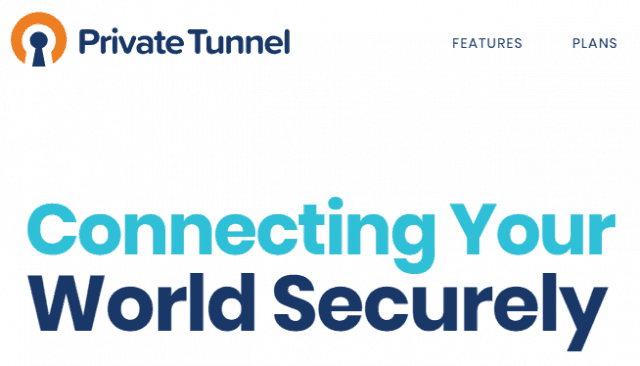 The extra VPN funnel to secure your entire connection adds layers of encrypted security, which inevitably dings server speeds. But how do you find a fast VPN? The good news is that the best VPNs in existence only see a negligible drop in performance. The bad news is that many of the bad ones siphon off so many resources that it makes web browsing a drag and streaming HD video content nearly impossible. It could be the greatest anonymous system known to man, with no logging, unlimited torrenting, Netflix functionality, and a killer price tag. But if it’s killing 95% of your speed, it’s not worth it. Encryption: When a VPN sends information across the web, it encases it in advanced encryption to keep prying eyes from seeing our activity and data. High-quality encryption pulls a lot of CPU power, so the better the encryption is, the more speed it’s going to pull away. That’s why we say that decreased speed is the cost of security. Physical Distance from VPN Server: Signal deteriorates over distance, so where you are as it pertains to your VPN’s server will dictate speed loss. User Overload: The more people pulling at a server the more bandwidth is eaten up. Low bandwidth means low performance which also means low speed. This is usually not an issue for higher quality VPN systems, because they’re built to handle the load. Your ISP Speed: It stands to reason that the slower the speed you start out with is, the slower your VPN speed will be. Speed loss is more noticeable on systems that weren’t getting great speeds to begin with. We tested 70+ VPN speed using speedtest.net. We used 100 Mbps up and 55 Mbps down Internet connection (cable). Read more about our review process here. 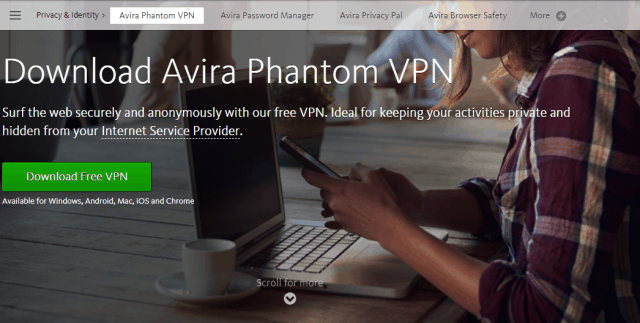 We’ve reviewed 74 VPNs to date. Some were awesome. Most were ‘meh.’ And a few were downright shocking. What’s interesting to note is that only one of these VPNs are in our top ten. And only one other is in the top 20. How can that be? Let’s find out! This is the fastest VPN we’ve seen. By far. The US server speeds were actually faster than our benchmark download speeds! There’s a lot to love besides speed, too. Witopia also offers four different VPN tunneling protocols (OpenVPN, L2TP, IPSec, and PPTP), plus bulletproof AES-256 encryption. This VPN doesn’t play around when it comes to safety. Unfortunately, there were a few drawbacks. For starters, they log your information. Like….a lot of it. There were tons of IP leaks, exposing our true location and shattering the anonymity of the product. And while those speeds were awesome, the fact that you can’t watch Netflix or torrent means you can’t really get the full effect. This is the fastest VPN we’ve ever seen. But in our official review, we did not recommend it. Our Hide My IP EU and US speed tests were nearly identical in terms of download speeds. That’s a good thing, showing that they’re able to consistently post strong server speeds. Our benchmark means that your speeds might only decline a few percentage points with Hide My IP. You probably won’t even notice it, to be honest. We also found no leaks at all. So it’s a strong system. Where does it go wrong then? Unfortunately, Hide My IP thinks it’s ok to log your information. They don’t track your activity, but they are keeping some of your personal data. It allows torrenting with no restrictions, but none of the servers that we tested worked with Netflix. So, that’s a bummer. Also, they’re located smack in the middle of the 5 Eyes Surveillance Alliance, which is an agreement between the US, UK, Canada, Australia, and New Zealand to share espionage information. So if Hide My IP ponies up the information they’re logging, it’s going to be shared with four other governments. 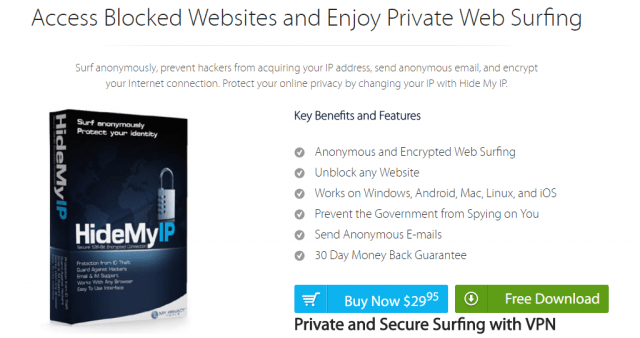 Read more about Hide My IP VPN in our review. Private Tunnel’s combined speed placed them as the third fastest VPN on our list. The EU test was much better than the US, but still, it was a strong outing across the board. Not only is this VPN fast, but this company created the OpenVPN protocol (the industry-standard protocol today). So they’re like celebrities in the cybersecurity space. There are a few issues, though. Their local US jurisdiction is a problem for those who don’t want their data shared across half the globe. And for a VPN with such amazing speed, they offer no official torrenting support and Netflix was blocked on all five servers that we checked. It might be the third fastest VPN we’ve seen, but we did not recommend using it in our official review. Private Internet Access is the highest ranked overall VPN on this list. We ranked this product as the ninth VPN we’ve reviewed. And with good reason. Speeds were awesome, as should come as no shock. Those speeds, coupled with a strict no-logging policy, full torrenting allowance, and no leaks made this a fantastic option. Of course, they weren’t perfect. None of the servers we tested worked with Netflix, for starters, and their US jurisdiction does create some surveillance issues. For more information, check out our official review. BolehVPN produced slightly mixed results. The upload speeds were consistent across both servers. But the EU download speeds were significantly faster than the US one. Plus, they allow torrenting and one of the servers worked with Netflix. So you can get full use of those strong speeds. Why didn’t we recommend this VPN in our review, then? It logs some information, has a limited number of servers, and we had an overall clunky experience working with the app. VPN.ac produced blazing-fast EU speeds and pretty good US ones. That being said, they limit their torrenting services to a few servers. And none of the servers we tested worked with Netflix. That’s a shame with such impressive speed. Overall, they were only able to come in at number 46 out of 74. Read more about their service in our review. Rounding out our list of the seven fastest VPNs is Astrill, a strong middle-of-the-road option that doesn’t drop the server speed. Astrill VPN works well with torrenting. And this was also the best option for streaming services (3 out of 5 Netflix servers worked) on this list. Now here are the rest. Or worst, when it comes to speed. These last three VPNs sap away speed at an alarming rate. But they’re not all bad. In fact, one of them even ranks higher than some of the earlier VPN services above. Here’s how they shake out. Avira Phantom is a slow program. They do have some positive features, but the speeds are downright abysmal. That being said, torrenting is allowed and one out of five tested servers worked with Netflix. But, as you can see in our official review, the speed loss coupled with a shady logging policy made us pass on this one. Hide All IP doesn’t just hurt your speed. It guts it with a rusty kitchen knife. This Hong Kong-based VPN slows you down by upwards of 94%. This was an all-around bad VPN, with questionable logging policies, Chinese jurisdiction, and only one connection per account. On their poorly translated website, they tout their ability to provide geo-blocked streaming services. And we found that Netflix worked on one (out of five) servers. Plus, they allow unlimited torrenting. But both will be affected by such slow speeds. 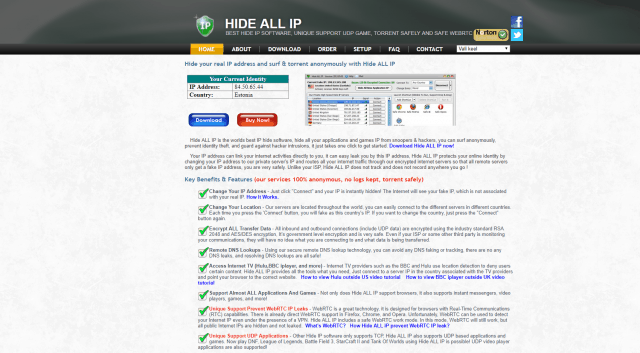 Read more about why we don’t recommend Hide All IP in our official review. 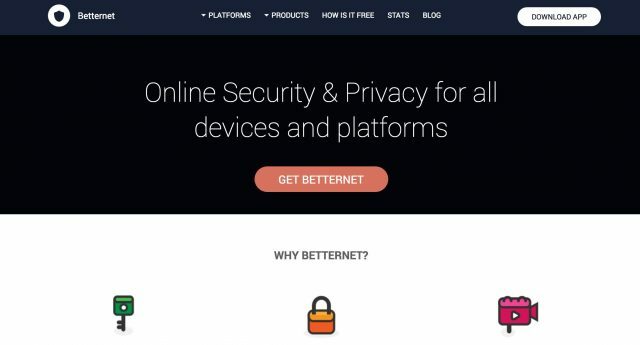 Betternet is a free VPN. And you get what you pay for in this case. That is one slow system. Our tests revealed that Netflix doesn’t work. Torrenting is allowed but with download speeds around two and three Mbps, you’re not going to download anything. Betternet is the slowest VPN we’ve reviewed. But incredibly, they’re not the lowest overall VPN on our list. Their 69th position means that there are still a few others with the distinction of somehow being ranked below the slowest VPN in the marketplace. There are many factors that make a VPN great (or not). But speed is often the Achilles Heel. For more on what makes a VPN truly impressive, check out our list of the 10 best VPNs. Very informative test. Thanks for your input :)! What about ipvanish and avast? And which ipv do you recomend? Which one is a good vpn for connecting servers in India from US? Read more about the best VPN services on our homepage.